381. 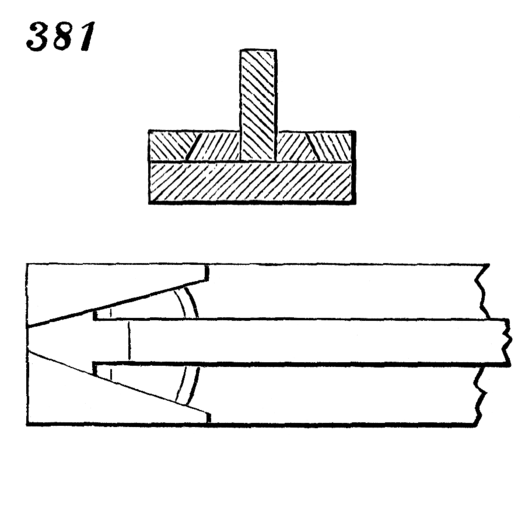 Bowery’s joiner’s clamp, plan and transverse section. Oblong bed has, at one end, two wedge-formed cheeks, adjacent sides of which lie at an angle to each other, and are dovetailed inward from upper edge to receive two wedges for clamping the piece or pieces of wood to be planed.